Once flagship of a robust Russian military press, NVO isn’t what it was. What is after 15 years of Putin? But NVO still has moments. Its 22 May editorial is one. The fifth generation T-50 (PAK FA) fighter didn’t fly over Red Square even though it’s supposed to be in serial production already. The impatient Putin gave Russian designers just five years to field the T-50 while the Americans took 14 years from first flight to first delivery with the F-22 and 12 with the F-35. Only a short time — two years — has been allowed for serial production of the new Armata tank. The Soviet T-64 took 10-15 years from the start of testing until all development work was finished. The call for Armata tanks and other armored vehicles on the same base in 2015 is just a “wish.” Serial production won’t begin earlier than 2018. There are delays in other key military programs — S-350 Vityaz, S-500 Triumfator-M, and missile defense systems (no specifics provided). Some will quibble about particular systems NVO claims Moscow will have trouble fielding, but the general point remains: far from everything needed by a military neglected for 20 years is being successfully procured. There are more than a few independent Russian economists who say Moscow’s current high level of defense spending is damaging an economy already challenged by lower oil prices and Western sanctions. 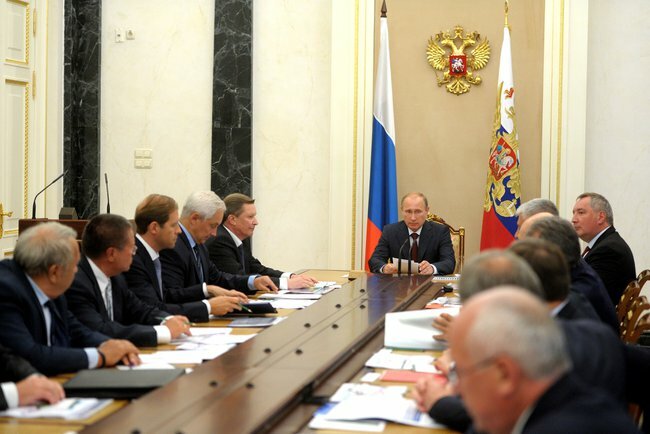 On 10 September, Kremlin.ru posted President Putin’s opening remarks to a session on developing the draft State Program of Armaments (GPV) 2016-2025. Putin’s speech can be divided into several themes: financing, the arms race, threats, particular weapons systems, and other tidbits. This seems consonant with his statement last December that the OPK and military should not expect future procurement budgets to match what was laid out in recent years. Prospective build-up of NATO forces in Eastern Europe. A regime that wants to prevent a Maydan on Red Square pretty much has to declare that the revolutionary impetus came from outside. It also has to overlook that it was the seizure of Crimea and the start of Moscow’s war in eastern Ukraine that awakened NATO. Look for a more detailed exposition of Moscow’s new threat assessment when the updated Military Doctrine appears in December. Overall, continuing the course and priorities — such as they are — of the current GPV. Now, the tidbits . . . .
Putin seemed to say the 2015 goal of more than 30 percent modern arms and equipment has already been reached. According to the president, more than 3,600 items of “fundamental weapons” (68% of the contracted quantity) have already reached the troops this year, along with 241,000 other items [presumably procurement not part of a major weapons system]. Putin gave only the briefest acknowledgement that, with looming sanctions, defense industry must be ready to manufacture its own critically important equipment, components, and materials. Industry, he said, should also be looking to produce important civilian machinery in the future. That’s about 950 words describing what Putin said in roughly 1,200. One hopes his speech has been deconstructed and reconstructed in such a way that it illuminates more than the original. Last week Rossiyskaya gazeta’s Sergey Ptichkin reviewed Dmitriy Rogozin’s comments on the formation of the next state armaments program, GPV 2016-2025. 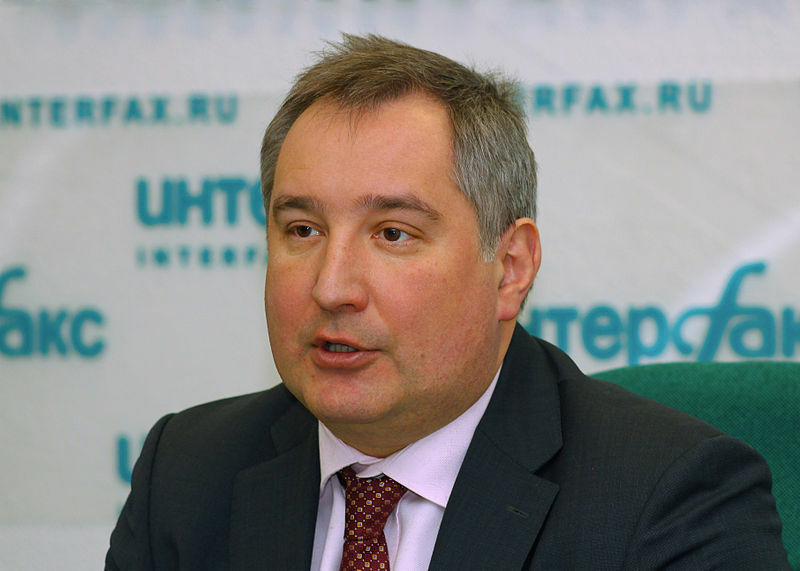 Rogozin is Deputy Prime Minister and Chairman of the Military-Industrial Commission (VPK) attached to the RF Government. Rogozin indicated the next GPV will be very different from the current one, according to Ptichkin. Rogozin said fulfillment of GPV 2016-2025 will be tracked with a new automated system GAS-GOZ, or the State Automated System of the State Defense Order (or perhaps State Automated Defense Order System?). It’s supposed to allow for “quickly reacting to the smallest failures” in the GOZ. The Future Research Fund (FPI or ФПИ, the emerging Russian DARPA) will effectively develop the most promising military and civilian technologies in 2016-2025. The PAK DA, a new strategic bomber, should be developed and produced during this GPV. The fifth generation fighter, PAK FA, will be in production. There will be new missiles, from operational-tactical to strategic, hypersonic ones too. It’s “not excluded” that aviation-carrying formations (aircraft carriers) will appear in the Navy. Rogozin said the “active inclusion of the Military-Industrial Commission in developing the future GPV” is a first, and will allow for avoiding “many problems and collisions” along the way. Rogozin criticized the “former Defense Ministry leadership” for refusing to accept the BTR-90, not ordering the BMD-4, not taking delivery of assembled BMP-3s, and not testing Obyekt 195 (a future tank) after GPV 2011-2020 was already finalized. Instead, rushed orders for developing and producing the wheeled Bumerang, light tracked Kurganets-25, and heavy tracked Armata ensued. These armored vehicles are supposed to enter the force in a year or two, but this seems unlikely. They will probably become part of GPV 2016-2025. Rogozin promised the next GPV will be the most balanced, most well-calculated, most innovative, and, at the same time, most realistic. It’s very early to talk about the next GPV. Traditionally, this is a sign things aren’t going well in the GOZ or the current GPV. The overlap in consecutive GPVs makes it difficult (perhaps impossible) for anyone — citizens, lawmakers, bureaucrats, military men, and, defense industrialists — to understand exactly what’s been procured (or not) under each GPV. This state of confusion probably serves the interests of some of the same groups. Rogozin makes it sound as if defense industry, rather than the military, will drive the train this time around.